SAN DIEGO, CA – January 24, 2019 – Marrokal Design and Remodeling of San Diego, CA has won “Best Of Design” on Houzz®, the leading platform for home renovation and design. The 35+-year old custom home builder and remodeling and design firm was chosen by the more than 40 million monthly unique users that comprise the Houzz community from among more than 2.1 million active home building, remodeling and design industry professionals. “Marrokal is very proud to receive the 2019 Best of Design award in San Diego, CA from Houzz for this project. 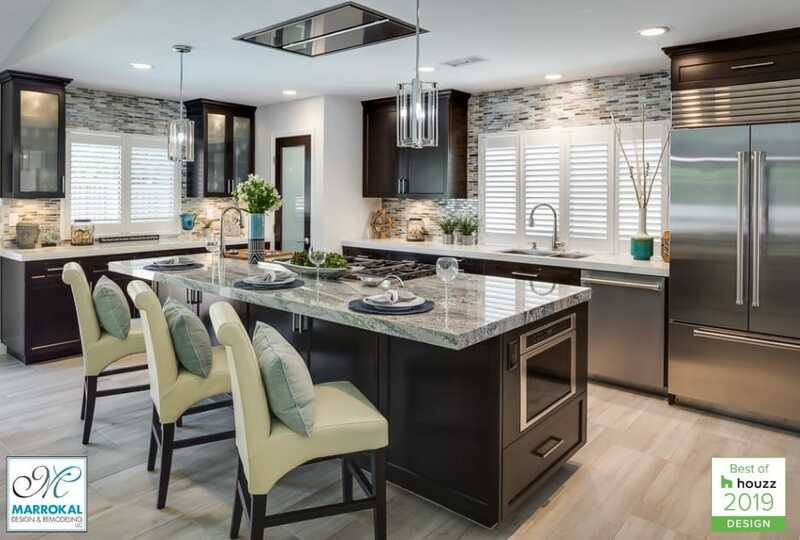 This is the sixth “Best of Houzz award that Marrokal Design and Remodeling has received. It is our mission for every team member at Marrokal to provide the excellence in our work every day that Houzz recognizes,” Phoebe Chongchua of Marrokal Design and Remodeling said. Follow Marrokal Design and Remodeling on Houzz. Marrokal Design & Remodeling is your premier source for home renovation services and custom design and home building services in San Diego, CA. Whether you are looking for a custom home build, a bathroom remodel, a kitchen remodel, a room addition, or a complete home renovation, our design team will work alongside you to help you create your dream home. We deliver superior service and aim to exceed your expectations. We listen and learn what’s important to you so that we can design and build a home that not only beautiful but also highly functional to meet all your needs. We service the San Diego, CA area and help bring your Dream Remodel or Custom Home to life.